Nissan Marine has discontinued sales of their outboard motors manufactured by Tohatsu Outboards, a long time partner and manufacturer for Nissan Marine. Tohatsu outboards are identical and their parts and accessories are fully compatible with all existing Nissan Marine engines. Tohatsu dealers are able to provide parts, service and warranty support for all existing Nissan Marine owners. Tohatsu continues to build the same high-quality engine you’ve come to rely on and offers a full line of outboards, from 2.5hp to 250hp, all backed by a 5 year limited warranty. compatible with your Nissan outboard and are designed to maximize your engine’s performance. 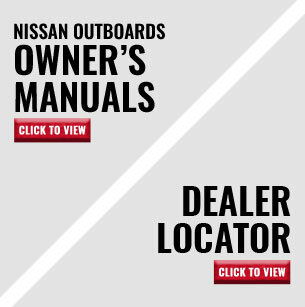 Tohatsu’s Technical Info page has the latest information on your Nissan Outboard, including answers to common service questions.